By Hilaire Belloc, printed by the St George Educational Trust, ISBN 0952542021. 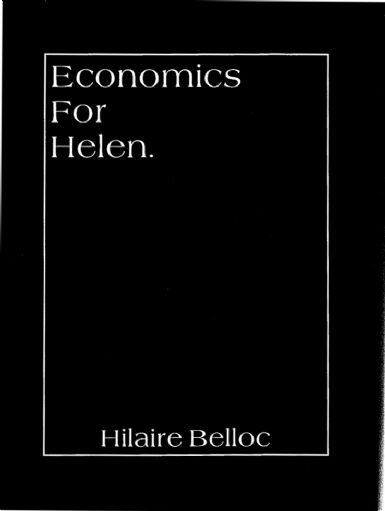 Economics is regarded by many as too complex for the ordinary citizen to understand, and thus best left to the ‘experts.’ Belloc wrote this book to puncture this myth. Vital reading for anyone with an interest in distributist or alternative economics. Hilaire Belloc was not only a gifted writer, he was also a courageous and energetic advocate of the Christian Cause. He was a man who made many enemies, because he refused to remain silent on the terrible evils of the modern world; he made many more friends precisely because he was a renowned lover of Truth. Too few catholics these days know that he was a wonderful exponent of Catholic Social Teaching, an exposition that is to be found in his books, The Servile State, The Restoration of Property and Economics for Helen. Together, they provide a complete analysis of the materialist economic creeds of the modern world, as well as a broad outline blueprint for a return to social and economic sanity. That blueprint has become known as Distributism in the English-speaking world, and is a direct result of the social Encyclicals of the Popes. Why have we not heard of Distributism? Renee Hayes, writing in his booklet Hilaire Belloc (1953), explains: "Distributism advocates various means of distributing ownership of land, shops, and collective enterprises, and postulates that there will be no middle way in future between general small ownership and general industrial slavery." 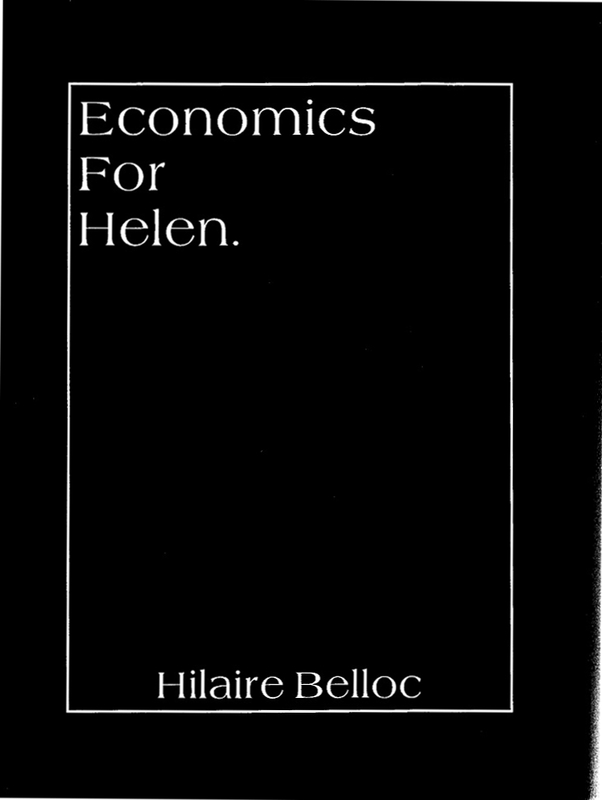 In these days of interminable crisis - social and economic - Economics for Helen is a breath of fresh air, a whiff of a new and Christian society, a programme and a vision... It gives answers that appeal to Commonsense. It is therefore a dangerous book in a world dominated by Liars.